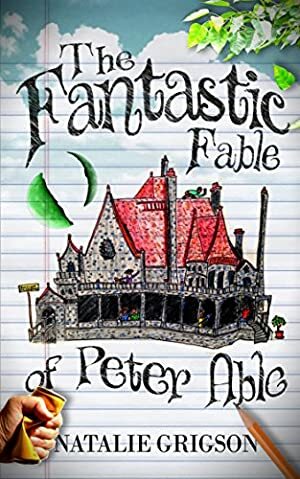 The Fantastic Fable of Peter Able is a fantasy novel - with a twist. You see, Peter is a Boy Wizard. Or rather, Peter is an adult Boy Wizard who lives in the land of Fiction. His Real World author has abruptly concluded his series, and Peter is suddenly free to explore his world, liberated from the almighty Plotline. Of course the transition into free will isn't exactly an easy one, and there are plenty of Twists and Turns to keep our Protagonist guessing along the way. After all, this is Fiction. In the vein of authors like Douglas Adams or Terry Pratchett, this book will delight fans, not just of fantasy, but of literature in general. There are plenty of familiar faces from Fiction appearing throughout, as well as many new ones, like Peter, the charming Randy, and a ficus tree named Bob - who, let's be honest, doesn't really have a face. This is the first book in the Peter Able series. Book Three - just released! Log In to track Natalie Grigson on eReaderIQ. to be notified each time the price drops on any book by Natalie Grigson. to stop tracking Natalie Grigson. We started tracking this book on February 2, 2016. The price of this book has changed 27 times in the past 1,172 days. The lowest price to date was $0.99 last reached on March 25, 2019. This book has been $0.99 11 times since we started tracking it. The highest price to date was $3.99 last reached on August 1, 2017.